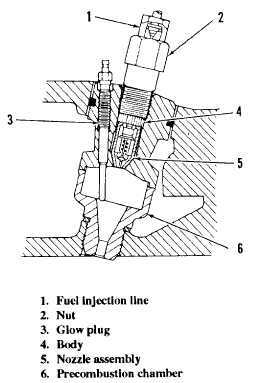 Figure 5-11.-Precombustion chamber and fuel injection valve. Home > Construction Training Manuals > Construction Mechanic Advanced > Figure 5-11.-Precombustion Chamber And Fuel Injection Valve. for injection. A bypass pressure relief valve limits the maximum pressure. OPERATIONS. - The injection pump (fig. 5-12) forces fuel under high pressure to the injection valves. Injection pump plungers and lifters are actuated by lobes on the pump camshaft and always make a full stroke. The lifters are held against the pump camshaft by spring pressure, applied to the plungers. GOVERNOR. - The governor on the compact fuel system is hydraulically operated. Governor action controls the amount of fuel injected by turning the plunger (fig. 5-1) in the barrel through a gear segment on the bottom of the plunger. Pressurized lubrication oil enters the passage in the governor cylinder. The oil encircles the sleeve within the cylinder and is directed through a passage to operate the piston. When the engine is started, the speed limiter plunger restricts the governor control linkage. Operating oil pressure has to react on the speed limiter before the governor control can be moved to the high-idle position. At low idle, a spring-loaded plunger bears against the shoulder of the low-idle adjusting screw. This action forces the plunger past the shoulder on the adjusting screw, and stops the engine. Lubrication oil from the governor drains into the fuel injection pump housing. TROUBLESHOOTING. - Many times the fuel system is blamed when the fault lies elsewhere, especially when smokey exhaust is the problem. Smokey exhaust can be caused by lack of air for complete combustion, overloading, oil burning, lack of compression, as well as faulty injection valves or pumps. The two troubles in the compact system are lack of fuel and too much fuel for proper combustion. If the time dimension is too small, injection will begin early; and if too great, injection will be late. When checking plunger wear, check the lifter washer for wear to avoid rapid wear of the plunger. If the plunger length is not within limits, discard the plunger. 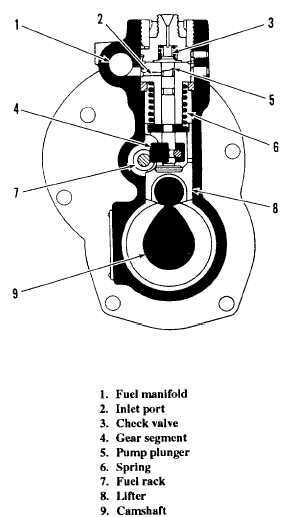 Figure 5-12.-Compact fuel injection pump.